When companies look for a way to promote their business, they want to choose a promotional tactic that keeps costs down, yet gets people talking about their product. Promotional gear can get the job done, yet if a company chooses unwisely, their marketing dollars will end up in their customers’ trash cans. A company must choose promotional gear that its target market will use. In the United States, it’s a good bet that promotional wear, particularly t-shirts, will not end up in a landfill. One promotional wear supplier, according to Talkroute.com, commissioned a study to test that theory. The result? Nearly 95 percent of Americans 18 and over have T-shirts in their wardrobe. In fact, more than 89 percent of American adults wear a t-shirt at least once a week. Not surprising. According to many travel experts, a t-shirt, particularly a promotional one, is one sure indicator to locals overseas that someone is an American tourist. But Americans’ affection for t-shirts that promote a favorite brand doesn’t end there. For a majority of Americans, one could even call it a “love affair,” in the words of the Talkroute article. According to the supplier’s study that the article referenced, 76% of American adults forge a “strong emotional connection” with shirts that they or someone with whom they were acquainted had custom designed. In fact, the average American, according to the same study, has at least 13 t-shirts with which she or he will not part for sentimental reasons. No small wonder, then, that most businesses and charities head for t-shirt design when they want to promote their brand. With much less money than it would take to rent a billboard for only a month, an organization can set into motion hundreds of “walking billboards,” fans who will gladly promote the organization’s message. With a catchy slogan and an attractive logo, a company’s t-shirt may just make it into their customers’ all-time favorites. One can only imagine a promotional tool that its customers will not ever throw away. 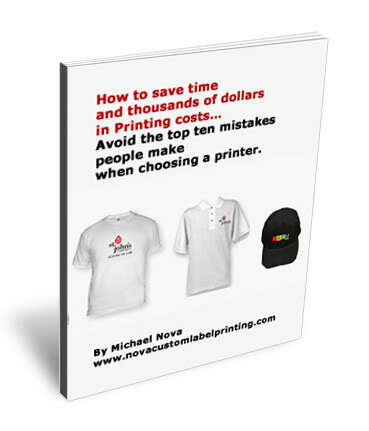 That translates into years of super low cost promotion for organizations wise enough to capture the market by creating custom t-shirts to expose their brand to the buying public. Promotional wear, particularly attractive selections, create conversations. A customer who wears a company’s eye-catching logo around town will undoubtedly strike up several conversations with curious strangers. 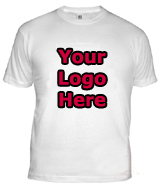 If the design catches on quickly, a promotional t-shirt can create buzz about the company who created the design. Furthermore, if the product or service a company provides becomes popular due to the publicity, even more excitement will build. Once a successful promotional wear campaign starts, it’s not easy to put the marketing wildfire out. Just ask Nike’s competitors after its “Just Do It” campaign. To begin, companies should give t-shirts to loyal customers. They’ll feel even more loyalty when a company rewards them for their business. Doing so, as long as the t-shirt has an eye-popping logo and an attention-grabbing slogan, will create desire for the t-shirt on the part of even non-customers. When they become customers—and chances are, they will—wise companies will reward them for their new business with a t-shirt to identify them as a member of an elite tribe—that company’s tribe.